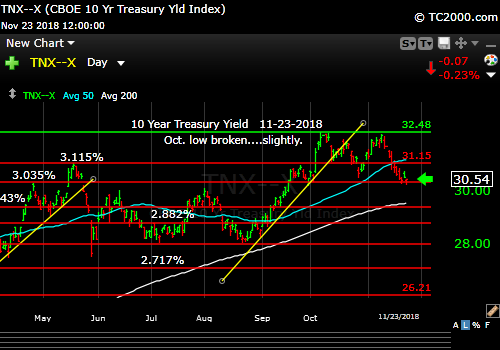 Market timing the US 10 Year Treasury Yield (TNX, TYX, TLT, IEF). Stocks need a rate bounce. Not too high though!